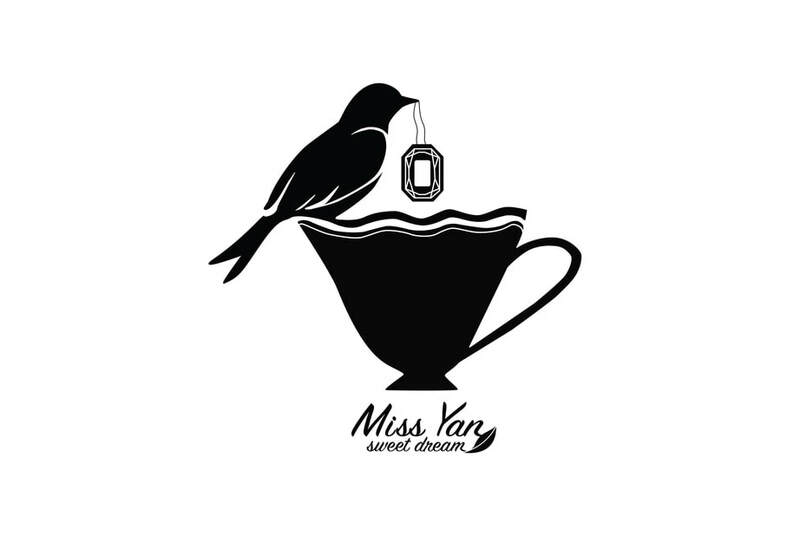 Miss Yan Jewelry and Coffee Shop is a high-end coffee shop that also carries jewelry for sale. 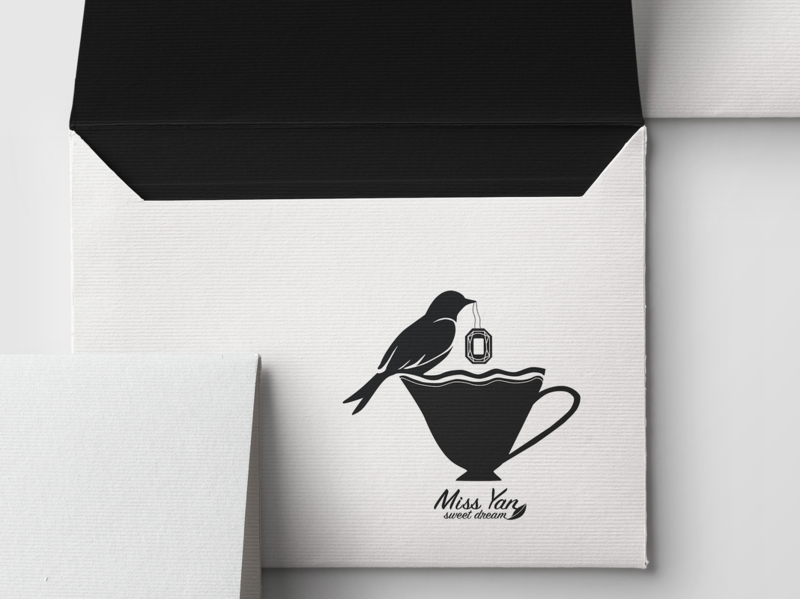 ​Inspired by Alice in Wonderland, the logo features a bird with a ruby in its mouth. 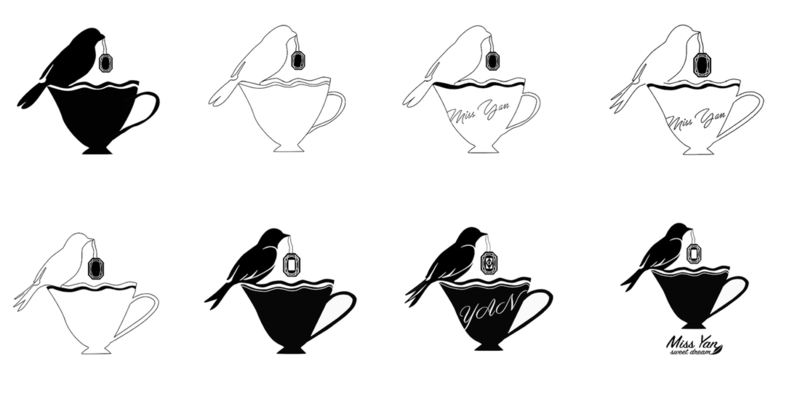 It can also be viewed as the bird dropping a piece of sugar into the drink. 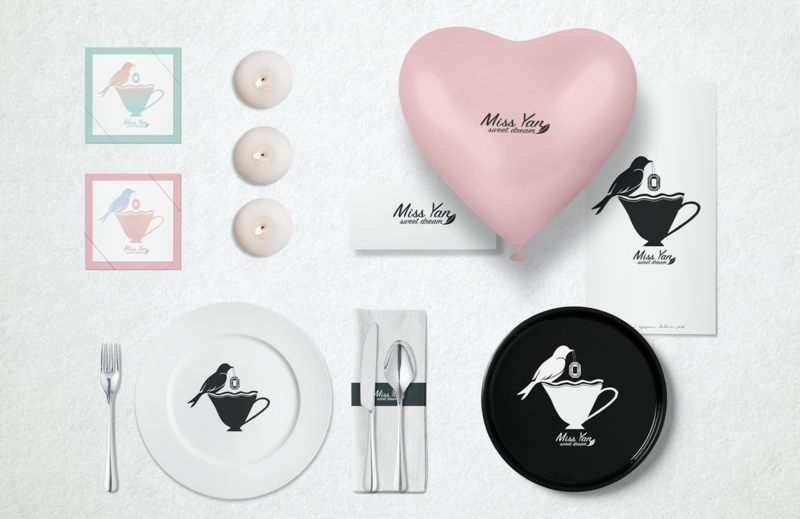 Most of the work consists of black and white while candy colors are used for smaller items.